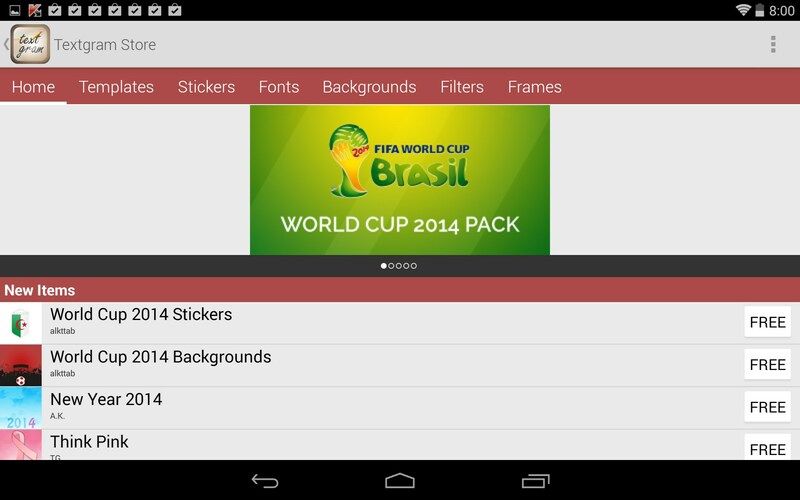 Textgram – Soft for Android 2018 – Free download. Textgram – Good and fun graphic creation app. 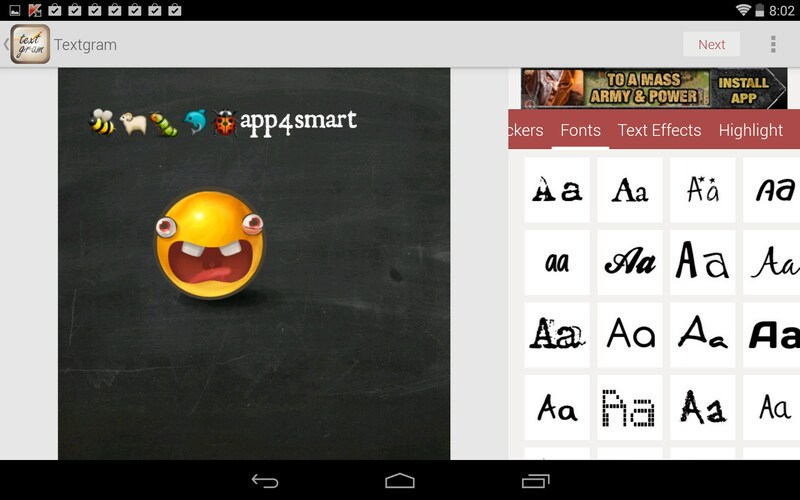 Textgram for Android is a fun graphic creation tool that builds original and playful emoji based images for use in your favorite messaging app. Textgram is kind of unique and interesting. We all love using emoji, but not all of them translate from one device to the next. There’s really no standardized way to send someone your favorite emoji and know they’ll receive it as you intended it to be seen. 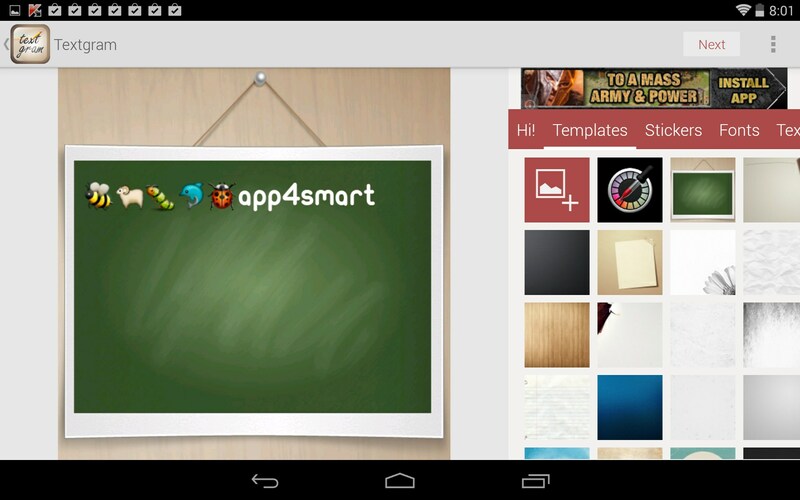 This app is a fast and cool way to create original graphics that are small in kilobytes, but big on fun. 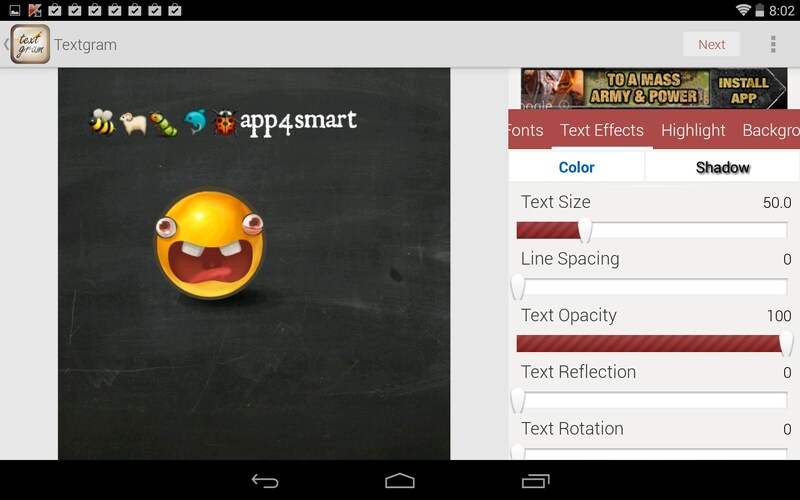 The app features a host of playful emoji at your disposal. Just add as many as you want, input any text you might like, then save your creation and send it via text or email. If you want to get creative, the app offers a host of tweaks and personalization options, like custom fonts, text effects, backgrounds, frames and more. There’s even a store with an exhaustive selection of add-on packs that is sure to keep you busy for quite a while. Best of all, most of these add-ons appeared to be completely free. The app functions quite well and runs fast. It’s very easy to just pop open the app, create a fun little graphic, arrange everything to your liking and then send it off via text. The whole process takes no more time than typing a regular text, but the end result has far more punch and pop. Texting still happens via your favorite app; this is not a texting app, it’s a graphic creation app. 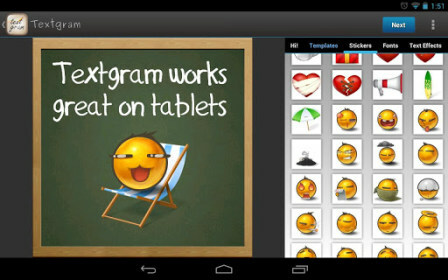 Textgram is a lot of fun to use and functions very quickly. It’s really the only way I know of to send the emoji you like, and know for certain that the recipient is seeing exactly what you intended to send.